Dantewada, March 18: With the notification of Lok Sabha's first phase in place and Chhattisgarh's Dantewada constituency going for polls on April 11, the naxals have attacked the CRPF jawans in the area with an IED blast on Monday. As per the initial reports, one CRPF jawan has succumbed to the injuries. 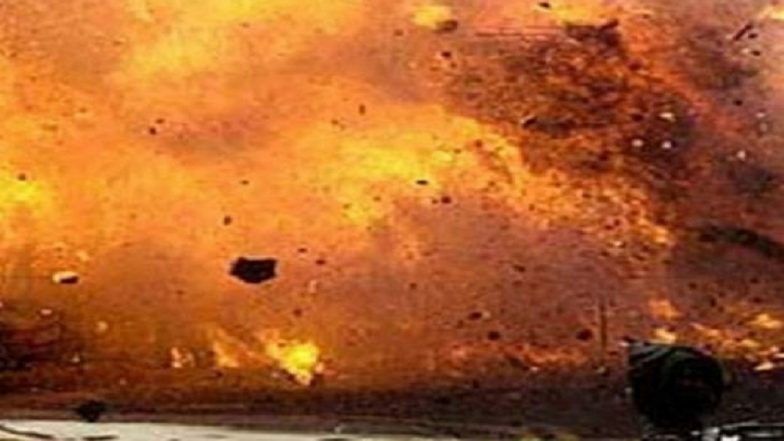 Due to this blast, five CRPF jawans were injured and most are expected to have suffered minor injuries. The gunbattle between the security forces and the Naxals is still continuing in the area. The security forces have cordoned the area and extra personnel are being sent for the security personnel's help. Army Officer Chitresh Singh Bisht, Martyred in IED Blast in Nowshera, Was to Get Married on March 7. Following the attacks, arrangements are being made to shift the injured jawans to the nearest hospital. However, no casualties have been reported as of now. The injured jawans have been airlifted to Raipur.